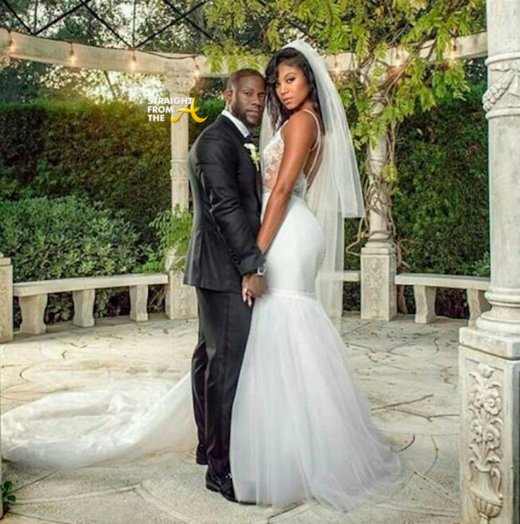 Congratulations to Kevin Hart and Eniko Parrish who tied the knot this past weekend! Hart, 37, married longtime girlfriend Eniko Parrish, 31, in a privare wedding ceremony held Santa Barbara, California, surrounded by family and friends. Guests included Trey Songz, Christopher ‘Ludacris’ Bridges & his wife Eudoxie, Will Packer, Dwayne Wade, Gabrielle Union, Nelly, Fabolous and many more.